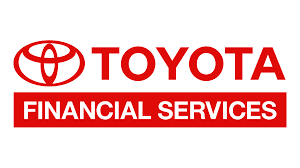 TORRANCE, Calif., July 13, 2016 /3BL Media/ – Toyota Financial Services (TFS) announced it is offering payment relief options to its customers affected by the natural disasters in West Virginia. This broad outreach includes any Toyota Financial Services (TFS) or Lexus Financial Services (LFS) customer in the FEMA-designated West Virginia disaster areas. Additionally, Toyota Motor North America (TMNA) and TFS are matching personal contributions that employees make to the American Red Cross through July 22, up to $50,000. Toyota Financial Services extends its heartfelt thoughts to those affected by the natural disasters. Points of Light has named TFS one of its Civic 50, the most community-minded companies in the nation. For more information about the company’s support of financial literacy, youth development programs, and other community initiatives, please visit www.tfsinthecommunity.com.